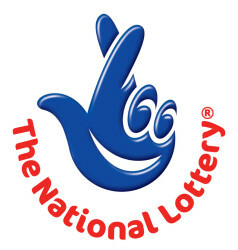 The National Lottery was launched in November 1994. It is ‘pari-mutuel’ in nature, which simply means that the prize money for each lottery game is determined on the basis of the ticket sale for that game. Thunderball is one game, which has fixed prize money. While it was established utmost care was taken to safeguard the interests of the players and conditions were laid such that income from sales of the lottery tickets would be used for noble causes in the field of sports, arts, charities, education and environment. The games offered are draw-based and scratch card based. People in Britain popularly call the UK Lottery by the name of the National Lottery. People who are sixteen and above are eligible to play lottery in the United Kingdom. Another clause is that to be able to win a lottery a person must have a British address and also a British bank account. A large part of the revenue generated by the British Lottery s used for public utility services and other noble causes. The lotto machines are named after all the great men that Britain saw, namely Arthur, Lancelot and Merlin.